Enjoy your visit to the atelier of tsujigahana, or “phantom dyeing technique”, located in a place full of nature at the foot of Mt. Hiei. Delicately beautiful tsujigahana, which is also called “phantom dyeing technique”, flourished at the peak of Momoyama culture before almost sinking into oblivion. 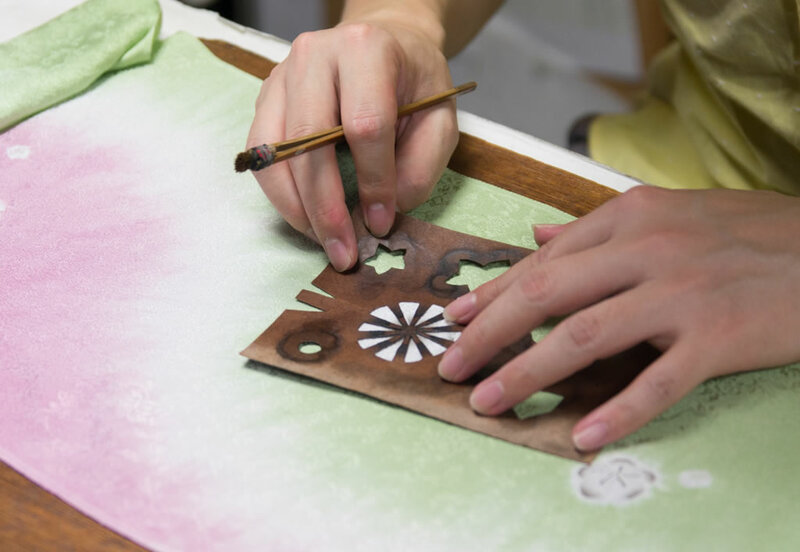 Observe the artisans at work, learn the history and listen to the explanation of production process of tsujigahana in a more than 100-year-old machiya. Feel free to have a look at the works and goods created by two generations of artisans and enjoy the everyday atmosphere of the atelier.